Anyone that has been through an airport or crossed national borders in the United States, will have seen a U.S custom dog at work. 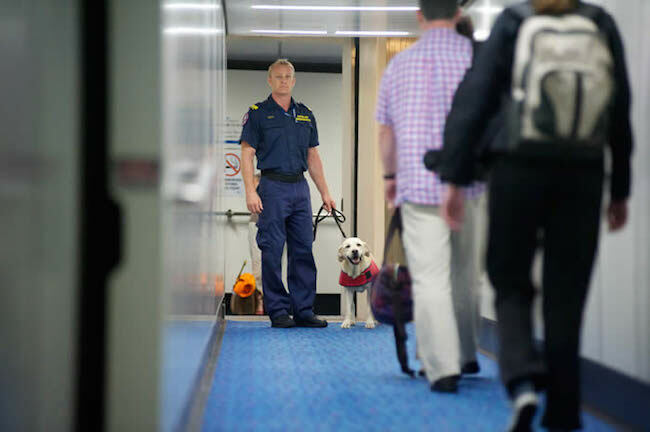 Often more overlooked in the media than the dogs that have been trained for military use, our custom dogs fill a vital role in the fight against the import of illegal drugs, people trafficking and terrorist bomb detection. They are also trained to detect wildlife or wildlife parts, like rhino horns and ivory, and other banned substances. Just imagine how long it would take anyone to cross a border if we didn’t have sniffer dogs in place to patrol them as efficiently as they do. And believe me, they can be very efficient. 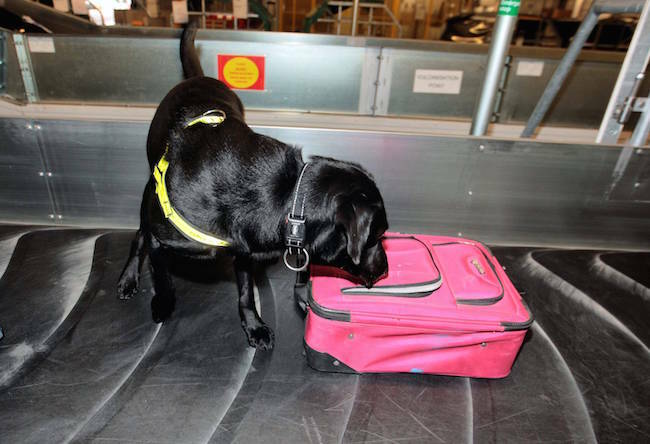 The world’s most prolific drug sniffer dog, (in terms of narcotics value apprehended) was a US Customs Labrador named “Snag”. He helped make 118 drug seizures in his working lifetime, amounting to a record $810 million worth of drugs confiscated. The greatest total number of drug seizures by a dog patrol team is 969. Taking place in 1988, the two Alsatian custom dogs, “Rocky” and “Barco” achieved this in just one year, while patrolling the Texas and Mexico border, (alias ‘Cocaine Alley’). They were so good at sniffing out cocaine that Mexican drug lords put a bounty of $300,000 on their heads. Thankfully, no harm ever came to the two canine heroes. They eventually retired from active service, were adopted by their handlers and peacefully reached old age. 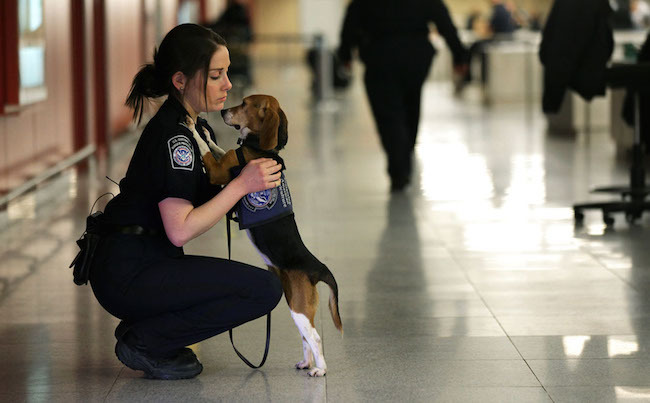 What Does it Take to Become a US Customs Dog? 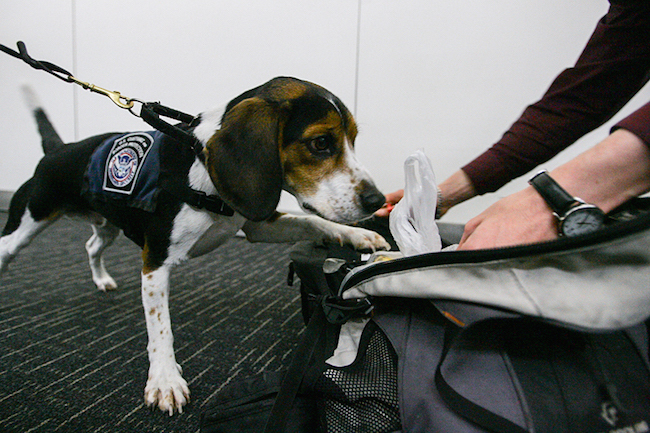 A US Customs dog will undergo a 13-week training program before they begin work. Each dog is assigned a human officer who they will remain with throughout the training and where possible, active service. 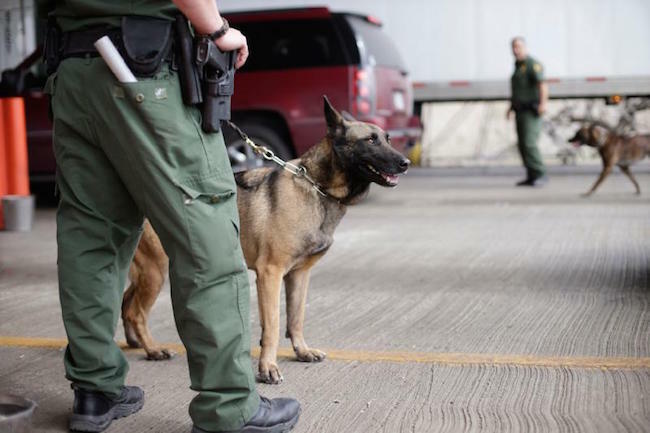 As border patrol sniffer dogs, they are taught to detect marijuana, heroin, cocaine, ecstasy and methamphetamines. Training begins with towels being scented with the various odors and the dogs are taught to retrieve them. Each successful retrieval is of course reinforced with a treat. Once the dog has become familiar with this, the towels are placed in sealed containers. 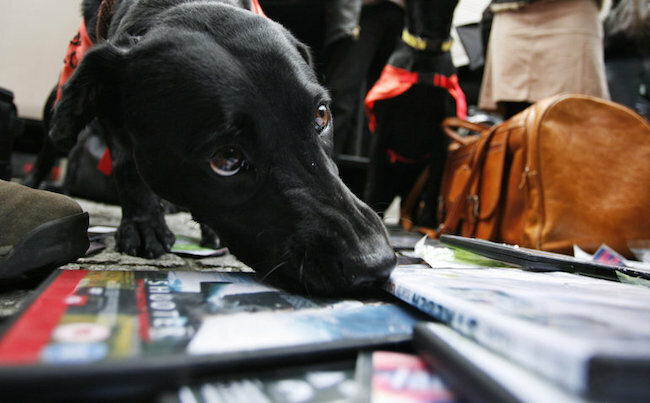 Toward the end of the course, dogs will have to detect drugs from hundreds of boxes on a conveyor belt or hidden in cars. Each of the boxes will contain other odors to distract and mask the smell of the item that needs to be retrieved, much like it would be in a real airport or border control. Most of the dogs are one to three years old when they start their training. The officer and his dog form a close bond and the longer they work together, the more efficient they become. Dogs can keep working into old age unless some physical problem forces their early retirement. When their working days are complete most dogs are adopted by their handlers. So next time you walk past a dog at an airport, be thankful that they are there, (unless of course you are carrying something you shouldn’t be). They make travel a whole lot safer for us all, and help reduce the import and supply of illegal drugs and the many issues that accompany that.